Ground-penetrating radar (GPR) is a geophysical method that uses radar pulses to image the subsurface. This nondestructive method uses electromagnetic radiation in the microwave band (UHF/VHF frequencies) of the radio spectrum, and detects the reflected signals from subsurface structures. This revolutionary device allows us to non-obtrusively view what’s beneath the earth’s surface before you dig! GPR is used in various ways, including the “norm” jobs of inspecting structures and pavements, locating buried structures and utility lines, and studying soils and bedrock. On occasion, we get out-of-the-ordinary requests regarding mapping archaeological features, digging up time capsules, and discovering unmarked graves. Law enforcement agencies will often call for the aid of GPR to locate clandestine graves and buried evidence. The military uses it to detect mines, unexploded ordnance, and secret tunnels. Back in April, we were called to a building in downtown Philadelphia to locate old privy pits in the building’s basement. Privies were used in the late 1700s and into the1800s to act as a cistern, or reservoir, which was used for storing rain water and also as a toilet located in small sheds outside a house or other building. Today, we refer to these structures as “outhouses.” These privy structures were necessary because sewage systems and garbage disposal were virtually nonexistent in those days. 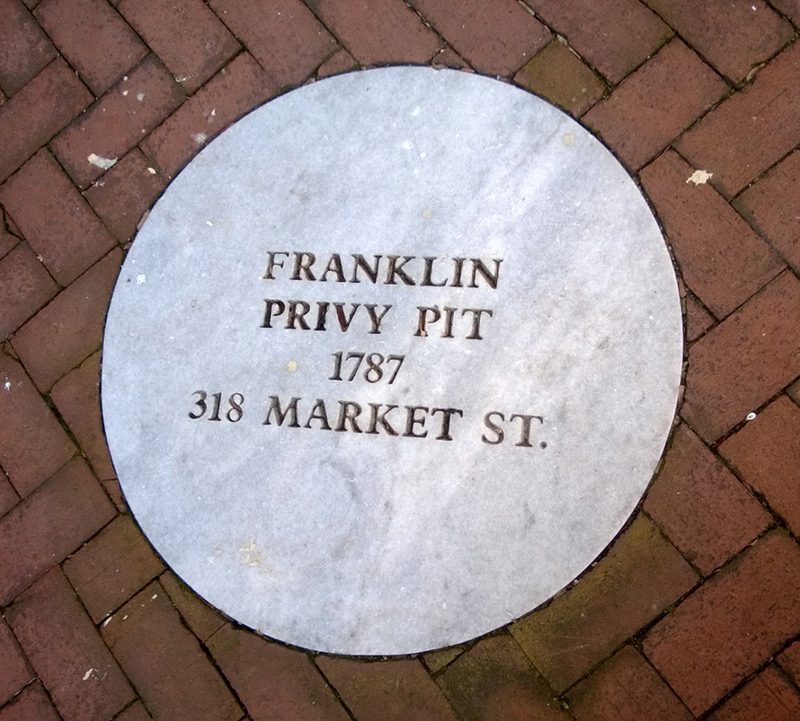 There are various historic privy pits sealed and marked around Philadelphia and while we were there, I got a chance to see and visit the privy pit of Benjamin Franklin at the site of his residence on Market Street. Perhaps Franklin pondered the technicalities of electricity while “taking a break” at this now-famous spot. The privies we discovered while in Philly weren’t home to any historical figure’s treasures, but they did contain old pottery that had been thrown into them many years ago, acting as an old-school garbage disposal. As always, it was exciting to discover hidden artifacts buried within the earth, especially when they told a long-lost story of the previous inhabitant’s history. Want more information relating to privies and their buried treasures? If so, follow this link. Back in April, we were called to a building in downtown Philadelphia to locate old privy pits in the building's basement. Privies were used in the late 1700s and into the1800s to act as a cistern, or reservoir, which was used for storing rain water and also as a toilet located in small sheds outside a house or other building.